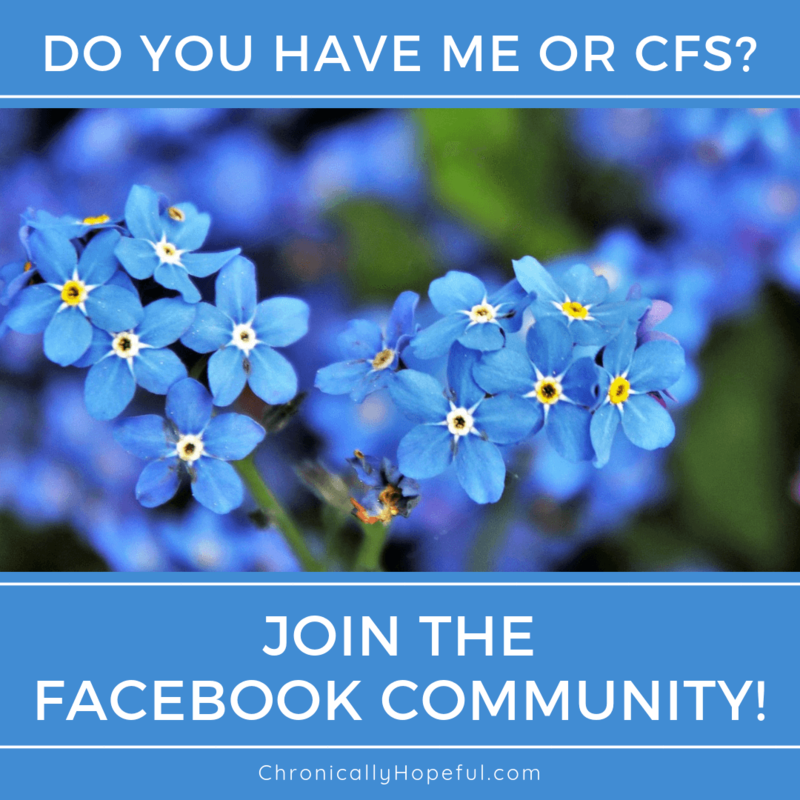 Summer can be a really difficult time for people with chronic illness. Regulating body temperature is a common problem. Add in a rare summer heat wave and you have a recipe for horrific flares including utter exhaustion, weakness, headaches and so much discomfort and sweating! If you have a chronically ill friend you'd like to bless or help out this summer, I am sure they would be so very grateful. I'm really excited to share these great items I've been using this summer as well as my top tips for keeping cool if you don't have air conditioning and can't leave your house. I hope these tips will be beneficial to you or somebody you love. Unfortunately, like everything else about this illness, the way we are affected seems to vary dramatically. There are many who love winter and many who prefer the summer. You might not be aware that one of the main symptoms of ME/CFS is an inability to regulate body temperature. This means that some of us are always cold and others are always sweating and others are constantly fluctuating between the two. It is a long process of trial and error to try find the right combination of layers and activities that won't cause such drastic fluctuations. For many the colder months bring more pain, shaking and the usual seasonal bugs, but while the heat tends to relieve pain and shaking, it can increase weakness, fatigue and dizziness. If your loved one suffers from this horrible illness, please ask them how they are affected and what you could do to make them more comfortable. Keep in mind that their needs could fluctuate within minutes. Mine certainly do! So keeping alternative aids nearby is very helpful so that we can switch as needed. I have needed a blanket and ice packs simultaneously as my upper body burned up with inflammation, but my leg muscles were aching and needed the warmth and weight of a blanket for relief. Before I fell ill I hated the European summers because they were super hot and I felt drained and often got headaches in the sun. I'd stay indoors where it was air-conditioned. Since I fell ill in 2015, I have loved the heat! I always had a sense of well-being and calm from the warmth of the summer sun. I'd lie in the sun next to the pool or in the garden or on the patio. Just soak it up and feel good. The heat would calm my shaking and muscular pains. But this year has been very different. The UK summer is not very hot in comparison to the Italian summers I have enjoyed the past few years, but I have suffered in this heat. Feeling drained, weak, and often getting headaches again. I have resorted to using these few items daily to keep me cool. Over the past few months we have purchased a few items that I now use daily and have really made my life easier and more comfortable. I hope this list will give you some ideas as to what might help you too. I am so in love with my gel cooling pad! If like me you struggle with inflammation or headaches, then having cooling pads and ice packs on hand is a must! They are great for calming histamine response too. I recently bought the Chillmax and have just bought another so that I can alternate between them. Keeping one in the fridge, or even just set aside, while I use the other. The relief it provides is wonderful! I use it under my head or lie with my back on top of it. It does warm up after a while, but it cools down pretty quickly if set aside or put in the fridge. I cannot believe it has taken me this long to get one! One of my favourite items this summer has been this cooling eye mask. It feels so good to use it when my head is burning up or aching! I had been using little round ice packs before, but I'd have to hold them on my head or face, this one has an adjustable elastic band which holds it in place. Much better! I now use the little round ones as backup if this one warms up before my headache subsides. I got one with a soft fabric backing and elastic grip to hold it in place. The gel balls hold the cold for quite a while and help the mask to contour to your face. It does warm up after a while, but it cools down pretty quickly if put in the fridge or even the freezer! Another fantastic new gadget is my flexible gooseneck phone holder! When the summer heat is draining all your energy and strength and you're stuck in bed, holding your phone can become painful, heavy and even quite hot - but it's your only connection to the outside world, so you don't really want to give it up. Anybody who suffers from joint pain in their hands would also definitely benefit from a phone stand like this one. It's very sturdy, easy to assemble and user friendly. It does require some strength to bend the arm, so on my bad days I need help to get it into position if I have previously moved it around. It's a strong and sturdy device which would be great for hands free phone use, like watching movies, facetime or even instead of a tripod for photography or film. I'm very happy with this one! Take advantage of cooler mornings - try to wake earlier and get things done in the cool of the morning before the sun warms everything up. Open windows early and let the cool air fill your house, even if you need to return to bed. Close them up before the sun gets too hot out there. Avoid direct sun - I watch where the sun moves around my house and move to a different room at different times of the day. My bedroom is coolest in the morning, but gets full sun in the afternoon until sunset, so I move to the living room after lunch. We also keep our curtains closed in rooms that are getting direct sun as the sun will warm any furniture inside if baking on it. Wet cloths - these are great to wipe your face, neck and arms, and are especially cooling if you have a fan blowing on you too. I sometimes just lay a wet cloth on my legs or belly. Foot bath - a tub or bucket of cold water to rest your feet in, add essential oils for some fragrance, mint would help with the cooling effect too. Resting your feet on ice packs would work well too. Paddling pool - if you have a balcony, patio or garden, then you could set up a children's paddling pool and soak your whole body in there - a nice cool bath would be just as good! Hydrate correctly - your drinks do not need to be icy cold, which requires more energy to warm up inside the body and could cause more exhaustion, but drinking lots of water and replenishing your electrolytes regularly throughout the day will help you feel less drained. I hope these tips will help you survive the summer without too much suffering. Please share your tips in the comments below if there is something I haven't thought to mention. Happy Summer! Amazon Prime is a membership program available year-round on a monthly subscription and can be cancelled at any time. It offers some great perks to it's members and is definitely worth it if you use Amazon regularly like I do. Being housebound means I cannot go out shopping, Amazon is a fantastic alternative. If you don't have Amazon Prime but would like to take advantage of the sales and shipping discounts but aren't sure about it, you can still benefit by signing up to the free 30-day trial. I've done this in the past and it is absolutely worth it as you can cancel Prime whenever you do not wish to pay for it anymore. It runs on a month to month basis until you cancel it. Glad you like this post. I love my phone holder – it’s so much better than holding the phone for hours while lying in bed. And being flexible means I can change position and so can the phone. Have less hand pain now. Who knew phones were actually so heavy! I hope you find some nearby. Some great tips! I was thinking of getting the pad for my dog (I’ve seen people doing this on IG) but yes, I think I’d love it too! Thank you for sharing what’s worked for you!? Glad you liked the tips. I hope you’re coping okay in this heat. I definitely need to get one of those phone holders. I’ve been umming and arring about one for some time. They’re so helpful, I’m sure you won’t regret it!